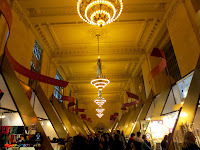 "The Grand Central Terminal is not only a station," The New York Times declared in 1913, one hundred year ago, "it is a monument, a civic center, or, if one will, a city”. The station looks beautiful during the day and at night, and there's quite a lot to do inside. There's something about this iconic building that draws people from all over the world. 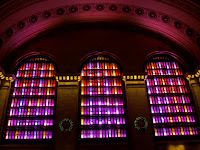 Look at my posts: "Grand Central Terminal Post 1" and "Grand Central Terminal Post 2". 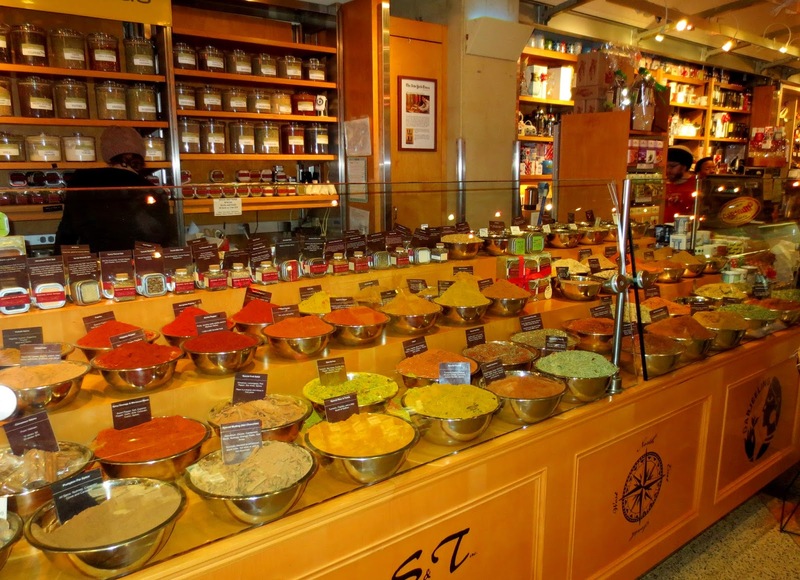 There is a Grand Central Market - year-round indoors version of a farmer’s market. It is open seven days a week (Mon. - Fri from 7 am - 9 pm; Sat. from 10 am – 7 pm; Sun. 11 am – 6 pm). It is mostly pit stop for commuters and a place where you can grab prepared foods on the go. 1. In addition to the food market Grand Central Terminal’s 14th annual Holiday Fair with more than 70 vendors started several days go. 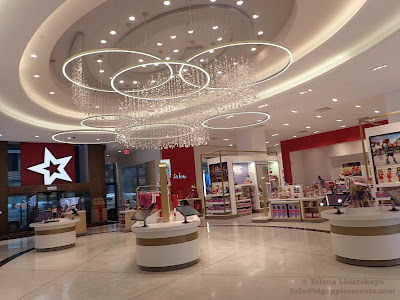 The stands in the Vanderbilt Hall offer a wonderful array of holiday gifts- jewelry and accessories for men and women, bath and body items, home goods, collectible toys. 2. 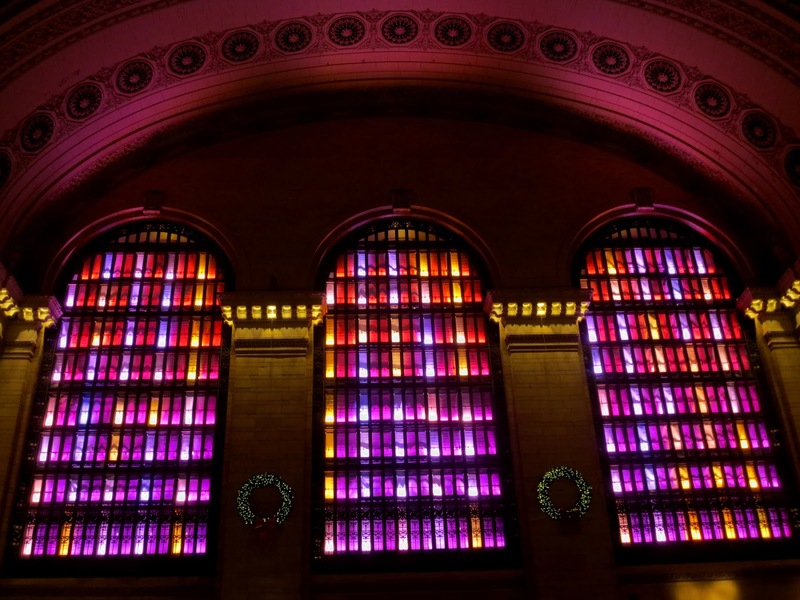 In partnership with MTA Metro-North Railroad and Grand Central, Toshiba has created a state-of-the-art light show that transforms the 118 separate window panes into individual "pixels" of light. A winter holiday-themed show will run through December 26. 3. 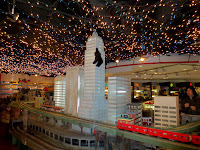 The New York Transit Museum Gallery Annex and Store at Grand Central Terminal has its 12th annual Holiday Train Show with the small trains traveling through a two-level, 34-foot-long miniature New York City and countryside scene.